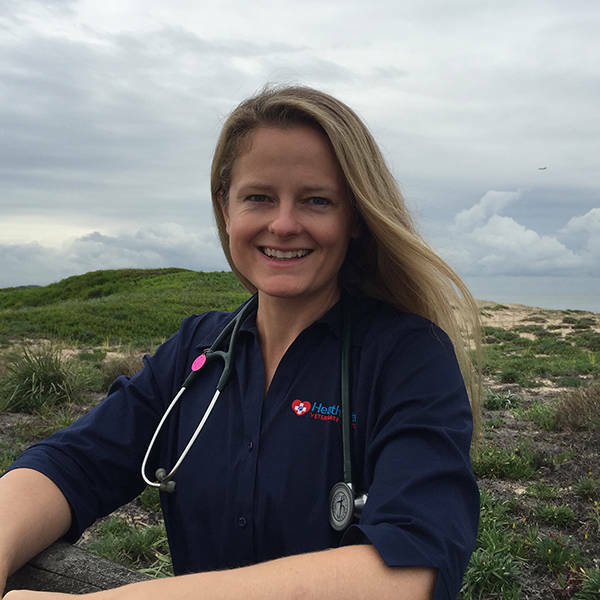 "Victoria is a small animal veterinarian working in the Sutherland Shire of Sydney. She loves keeping animals healthy and happy with a little adventure along the way"
When Bentley was a puppy he swallowed mango seed whole. As first time furparents we were extremely worried about our little guy, but one nausea injection and 5 spews later the mango seed came flying out. We couldn't thank Dr Andrews enough for her advice and quick response. We tried a few times to take a video but he kept getting excited when we say Vet Vic so let's just say Morris our large Labradoodle loves Vet Vic soon to be Bondi Vet Vic! We have even moved countries with him and she manages his epilepsy. Through mutual friends I got to know Vic closely as she was transitioning from Marine Biology to Veterinarian Studies. I saw first hand how passionate and knowledgeable she was(is). Vic always finds time to be fit, active and be fun. Talk to her once and you will understand. Having Bentley it was hard to find a vet with giant dog experience. Dr Vic has always give. Us great and sound advice and Bentley always loves to jump up on the bench for a check up and a treat. Harvey loves his vet "Aunty Vic"! She is so gentle and loving with him. Vic also looked after Monty who was my previous dog. Vic has a passion for animals and it is evident she will suit being "the" Bondi Vet! Zoe's favourite vet! Dr Andrews is such a dedicated vet, you can tell she loves what she does, Zoe always feels at ease with her. Dr Andrews would be perfect for the next Bondi Vet! Dr Andrews is the most passionate & dedicated vet I know. Caring for our dog Coco since a puppy, she is knowledgeable, explains things simply with terrific communication skills. I have no doubt she'd make an excellent BV as she is adaptable & versatile, her sincerity would connect with viewers. Vic has an extremely caring nature but is also very outgoing and adventurous! Bondi Vet would be lucky to have her!! Dr. Vic has always shown care and compassion for our furry family. She is professional and willing to go above and beyond to ensure our pets are cared for. She would make the perfect Bondi Vet! Victoria is the most amazing vet I've ever met. She rocks!